What if there was one place with the perfect tools for all your writing assignments? You're in luck. The Writing Space provides everything you need to become a better writer. 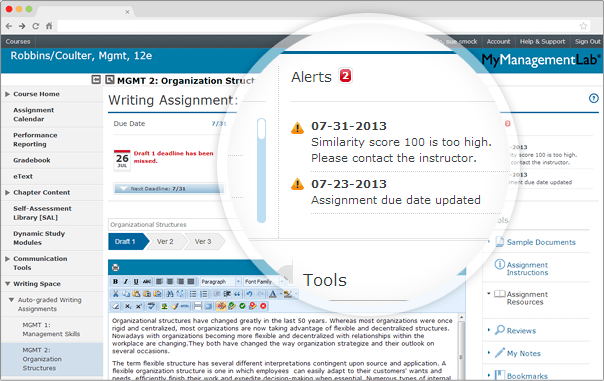 It lets you keep up with writing assignments, access assignment guides and checklists, write or upload completed assignments, and receive grades and feedback — all in one convenient place. Writing Space features storage for notes and Web bookmarks, essential writing tips, and a built-in dictionary and thesaurus. 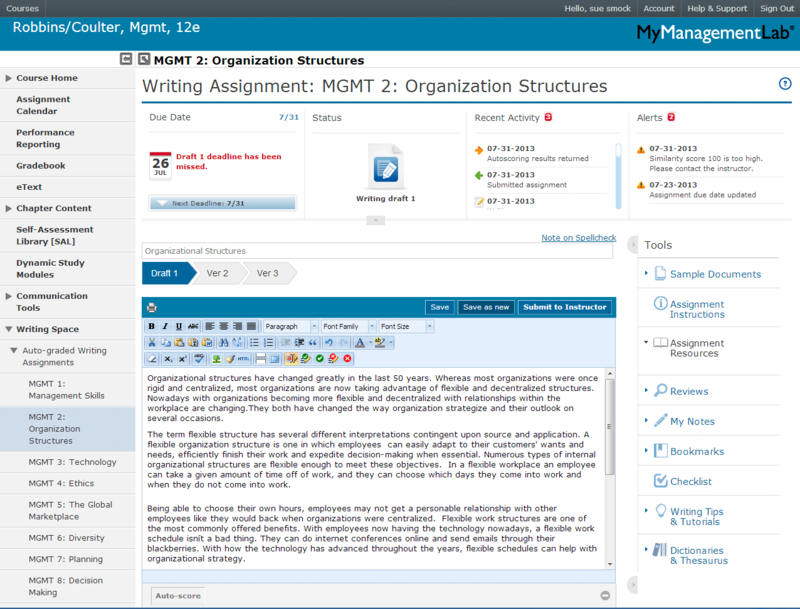 Plus, customized grading rubrics and personalized feedback help you focus and produce better work. Writing Space can also check your work for improper citation or plagiarism by comparing it against the world's most accurate text comparison database available from Turnitin®.